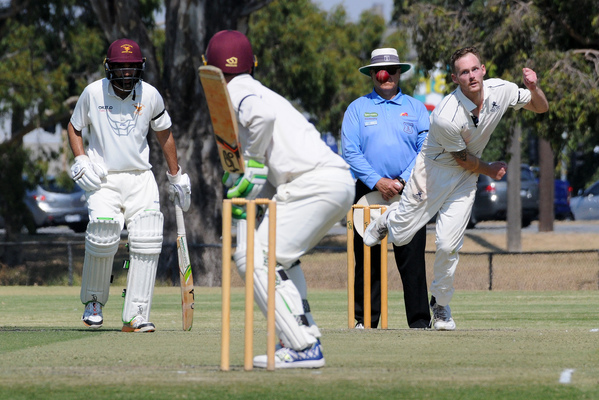 David White’s utter dominance over the Dandenong District Cricket Association went to another level on the weekend after the South-African guided Buckley Ridges into a grand final showdown against Springvale South. 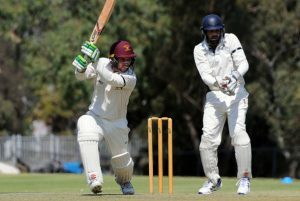 The Bucks’ captain-coach was in extraordinary touch against Hallam Kalora Park in the Turf 1 preliminary final at Park Oval, crashing an unbeaten 155 on day two to see them to victory after at one stage, it looked like an unlikely victory. The Hawks batted superbly on day one after winning the toss and batting, playing out their allotted overs to finish their innings on 7/285, and it was sturdy opener Ben Hillard that stuck to his guns to play a vital role at the top order. Hillard faced 154 deliveries for his vital 55, with Jagveer Hayer (33), Jaime Brohier (42) and Jordan Hammond (37) doing some fine work through the middle, but a mini collapse saw them fall to 7/191, with Jurgen Andersen (3/53) and Rob Peat (3/117) making life difficult after a bright start from the visitors. But skipper Ciaron Connolly (46 not out) and Peter Sofra (47 not out) sent the ball flying in a wonderful partnership late, adding a further 94 runs to the total and give the Bucks a steep chase on day two. It was simply a horror show to begin with for the Bucks, with star opener Daniel Watson run out without troubling the scorers, but Paul Rudd (40) and White got the home side back on track with an 83-run partnership. The wicket of Rudd at the hands of Leigh Booth (3/62) saw the home side teeter and fall to 5/135, with the all-rounder doing fine work in rummaging through the middle order. But one thing stood in their way – White. The star former South-African A player crunched yet another hundred in what has been an extraordinary stint in Australia, guiding the Bucks home with four wickets to spare on his way to an astonishing 155 not out. It takes White’s total aggregate for the season to a mind-boggling 1074 runs at 119.3, in just 15 innings after missing some cricket prior to Christmas through injury. The win sees the Bucks face off with Springvale South in the standalone Turf 1 decider this week, who defeated White’s group in the semi-final two weeks ago after a stunning spell by spinner Jarryd Straker, who snared 7/34 in the Bloods’ eventual win.